The apartment is located on the 2nd floor of the residence (with lift). Its exposition is EAST/ SOUTH EAST. Therefore, it provides a maximum sunshine in the morning and keeps a fresh and comfortable temperature in the hottest hours of the afternoon. 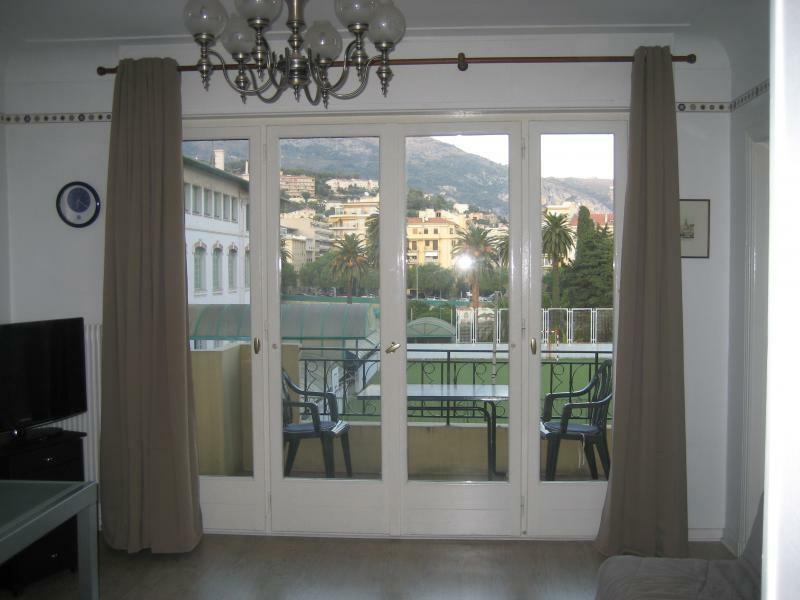 the studio has a surface of 38 SqYrd + a balcony of 16,75 SqYrd with an open view of the city and the near mountains. The studio is made of a great room, which is at the same time a sleeping and a living room, a kitchenette an a bathroom. 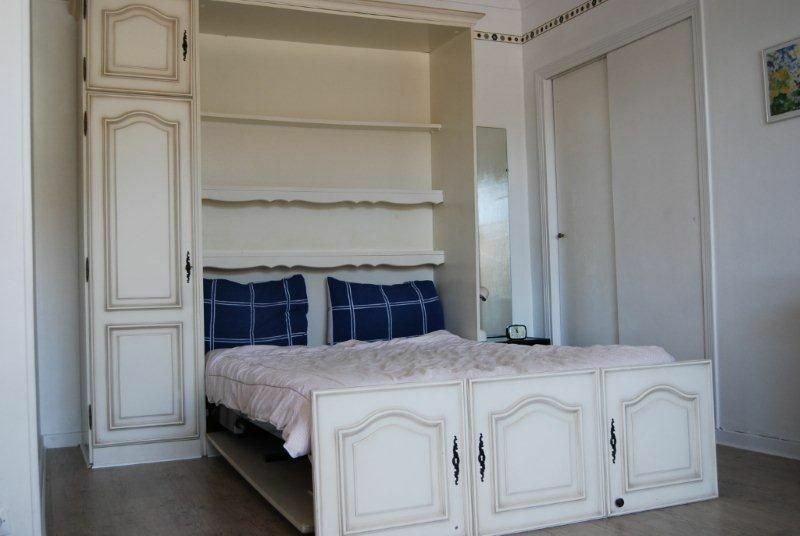 It is furnished and equipped to accomodate 4 people. In the living room, you'll find sofa, table, seats,a sideboard with a space crockery and a space arrangement, and two small cupboards. For your comfort, the studio is equipped with a color television (with remote control) and a cassette radio with CD. To arrange your clothes and other things, you can dispose of a great closet and a small wardrobe. 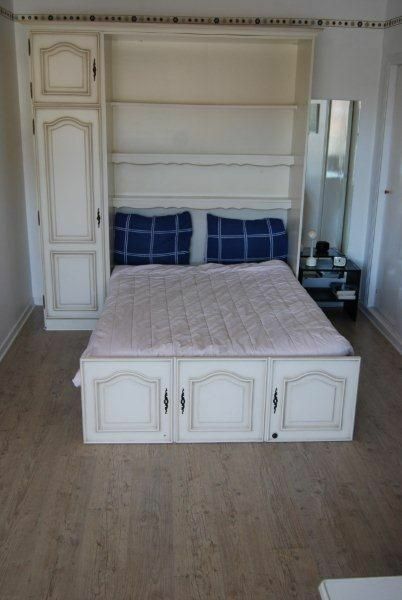 To sleep, you have of a retractable bed of two people, and a sofa bed (bed 2 people). The apartment is warmed by a collective central heating. The kitchen is fully arranged and equipped. It communicates with the living room by a door. a vat with égoutoire and a mixing tap with warm and cold water, a 4 fires gas stove, an electric oven, a micro waves oven, a refrigerator + small freezer, a lava crockery and a washing machine. The small equipment includes a programable electric coffeemaker , crockery and kitchen utensils. 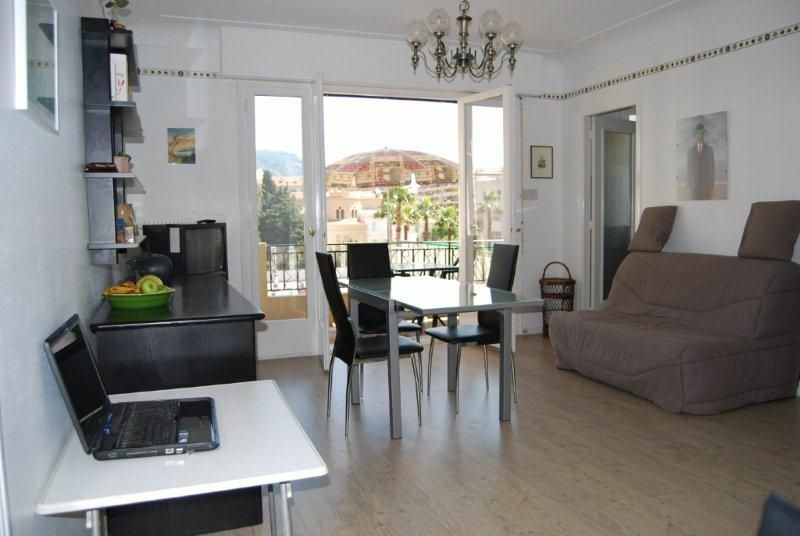 Apartment located in a small family residence.Built in the Sixties, it is ideally located. Very pleased that everything went well. Très content que tout ce soit bien passé. 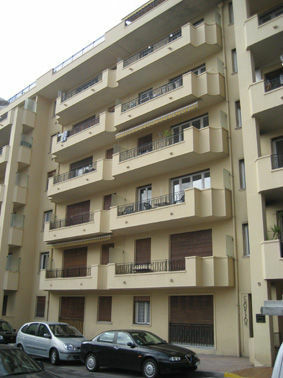 Apartment ideally located, correct service, attractive price. Damage to our arrival home perfectible ......... not cleaned the oven, door closed while the power is cut refrigerator. Appartement idéalement situé, prestation correcte, tarif attractif. Dommage à notre arrivée ménage perfectible.........le four pas nettoyé, porte du réfrigérateur fermée alors que l'électricité est coupée. The accommodation is well located and pleasant. Le logement est bien situé et agréable. 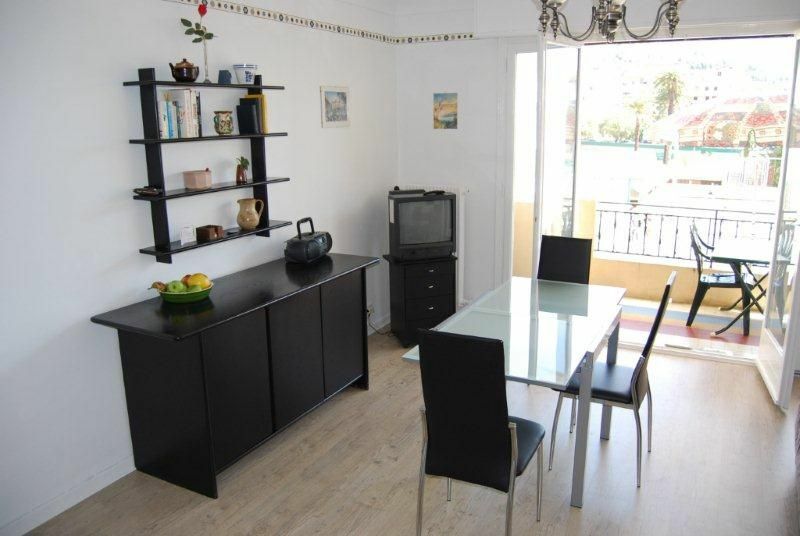 The apartment is located in a quiet area just a few minutes from the sea. 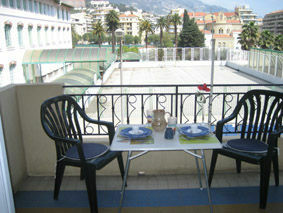 There is a nice terrace where you can eat in the shade for lunch and dinner. 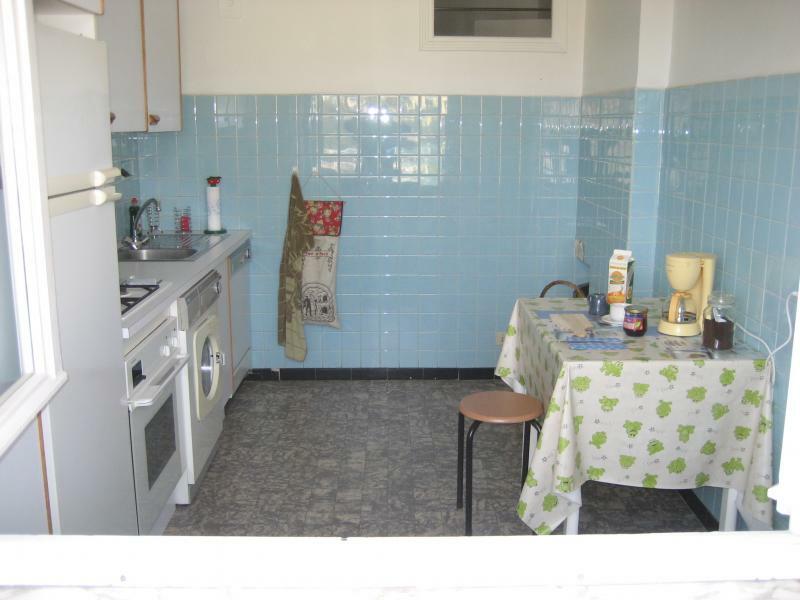 L'appartamento si trova in una zona tranquilla a pochi minuti dal mare. C'è un bel terrazzo dove si può mangiare all'ombra sia a pranzo che a cena. Very good location, quiet, airy. 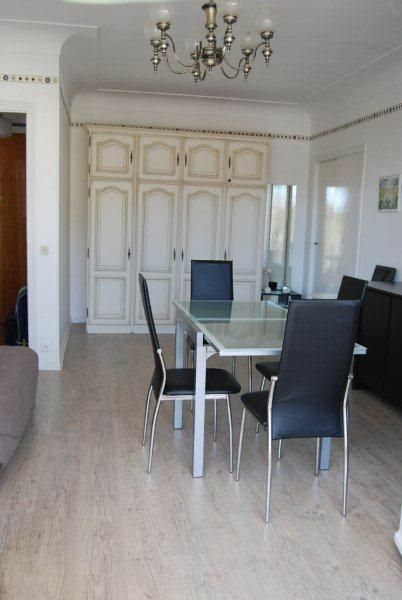 I would recommend this apartment to many holidaymakers. Too bad the owner has not provided the microwave for families with children. I hope he will think it would be nice. Thank you for the hospitality of the staff of the estate agency. Très bonne situation, calme, aérée. 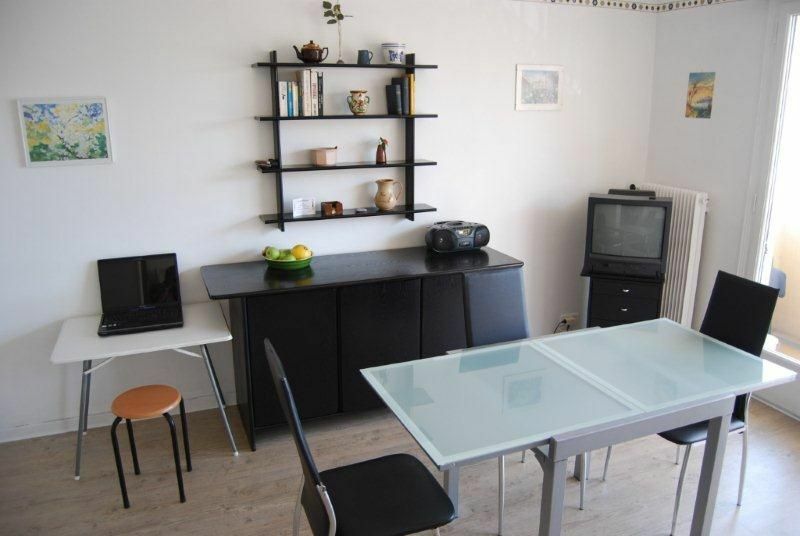 Je recommanderais bien cet appartement aux vacanciers. Dommage que le propriétaire n'ait pas prévu le micro-ondes pour les familles qui ont des enfants. J'espère qu'il y pensera, ce serait sympa. Merci pour l'accueil du personnel de l'agence immobilière. Rent well located close to the beach and not far from the mall. Several shops nearby. The room is spacious, well equipped kitchen. We enjoyed the balcony terrace. However some regrets: one pillow for 2 people! The store of broken kitchen with sunny period forced us to close the kitchen door at night and leave the closed day and night window. Damage. Location bien située proche de la plage et pas très éloignée du centre commercial. Plusieurs commerces à proximité. La salle est spacieuse, la cuisine bien pourvue. Nous avons apprécié le balcon-terrasse. Cependant quelques regrets : un seul oreiller pour 2 personnes!!! Le store de la cuisine cassé qui par période très ensoleillée nous obligeait à fermer la porte de la cuisine la nuit et à laisser la fenêtre fermée jour et nuit. Dommage. Conforms to our expectations but big parking problem. Conforme a notre attente mais gros problème de stationnement. Apartment very well located clean, the only downside, the microwave did not work. I relouerais willingly. 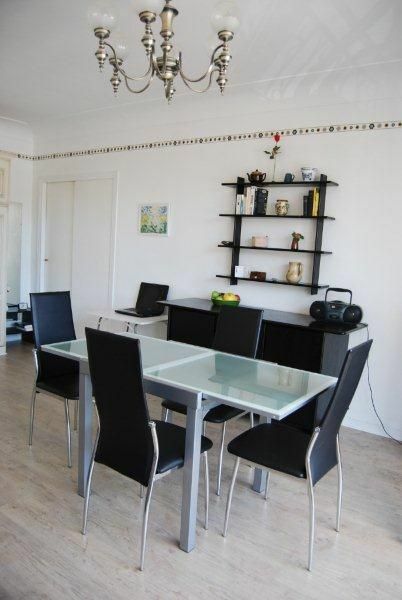 Appartement très bien situé propre, le seul bémol, le micro-ondes ne fonctionnait pas. Je relouerais volontiers. We were very pleased with the accommodation and equipment (sufficient crockery and impeccable bedding). Nous avons loué ce charmant appartement du 9 au 16/06/07, il est confortable et correspond tout à fait à notre attente. Il est situé près de la gare, des commerces et de la mer. Nous avons été très satisfaits de ce logement et de son équipement (vaisselle suffisante et literie irréprochable).